Most NASCAR fans are accustomed to seeing their favorite drivers in their driving suits, embellished with their car number, their name, and the names of their sponsors. 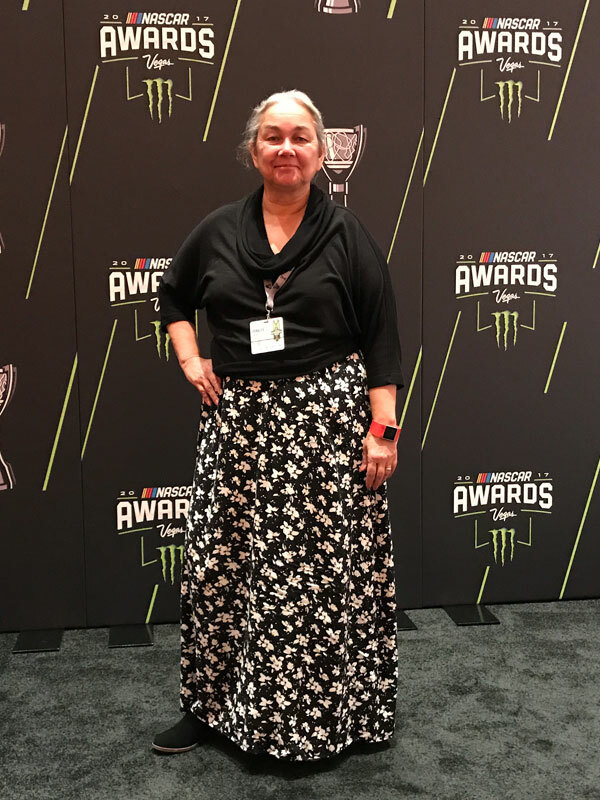 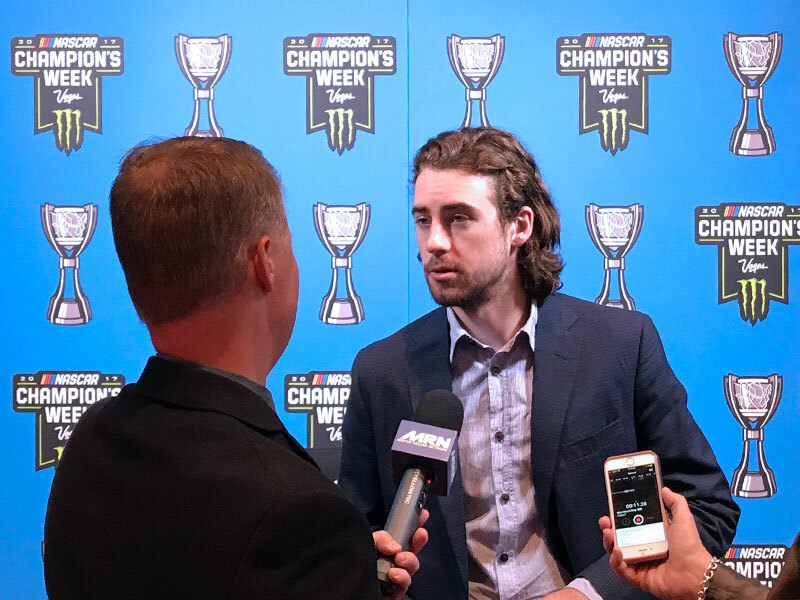 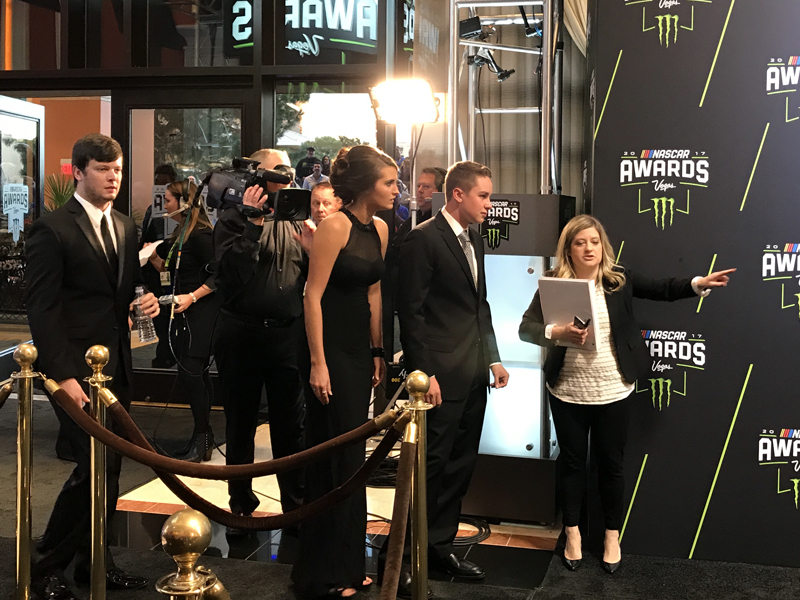 For the Monster Energy NASCAR Cup Series drivers attending the 2017 Awards Banquet, it was time to sport a completely different type of attire. The season ending celebration featured tributes, honors and plenty of good cheer as the pulchritudinous drivers and their significant others crowned and fêted the popular 2017 champion Martin Truex Jr. and his Furniture Row Racing team. 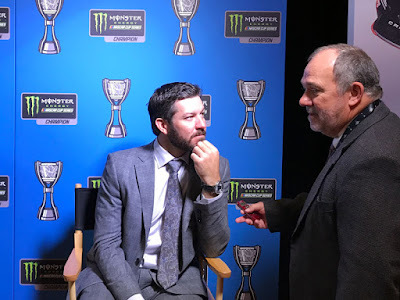 The evening also paid special attention to provide a heartfelt sendoff to the now fifteenth consecutive NMPA Most Popular Driver in the sport, Dale Earnhardt Jr. and on a lesser scale Matt Kenseth. NASCAR Race Mom (NRM) was honored to be allowed to attend the festivities as credentialed media. 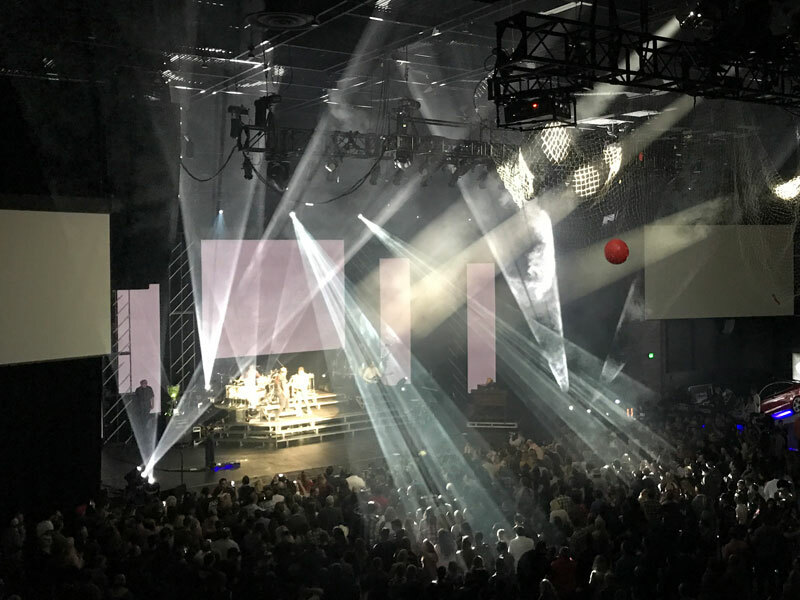 Below is a sampling of NRM’s adventure via photos. I have always wanted to fly via a private jet. 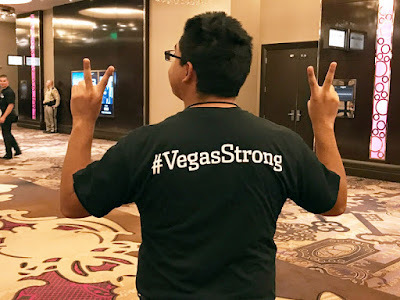 That goal is still on my bucket list. 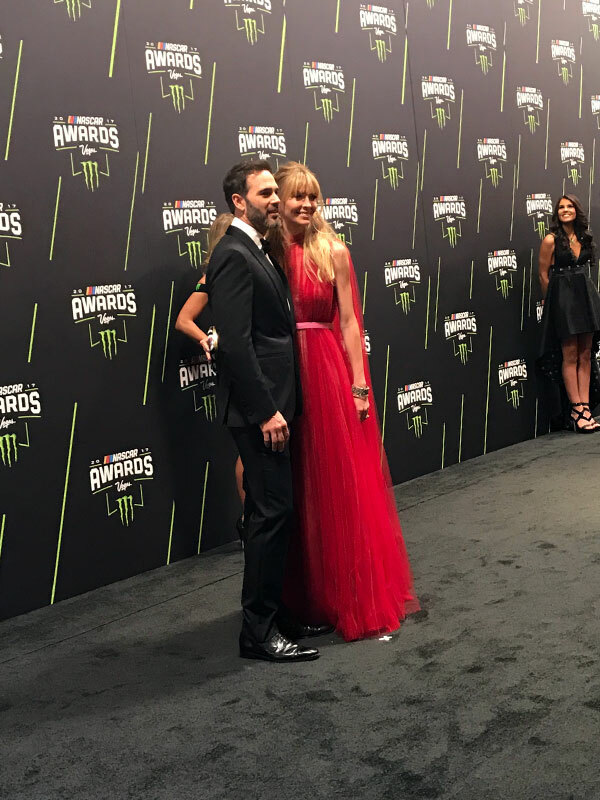 However, NASCAR Race Mom discovered the next best thing. 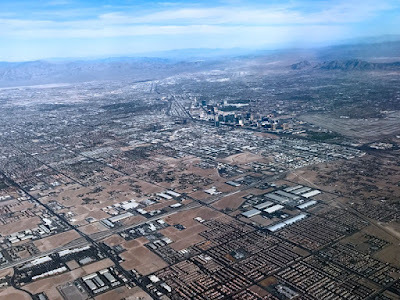 I flew to Vegas via a CalJet out of the McClellan-Palomar Airport. This small airport is in Carlsbad and is a gateway to and from San Diego’s North County. It serves the general aviation community, corporate aircraft and commercial services. Cal Jet by Elite Airways was founded in 2010 by airline veterans looking to provide a better travel experience for their passengers. I found the flights well prices, convenient and highly personalized! The view from the window as we descended into Las Vegas. 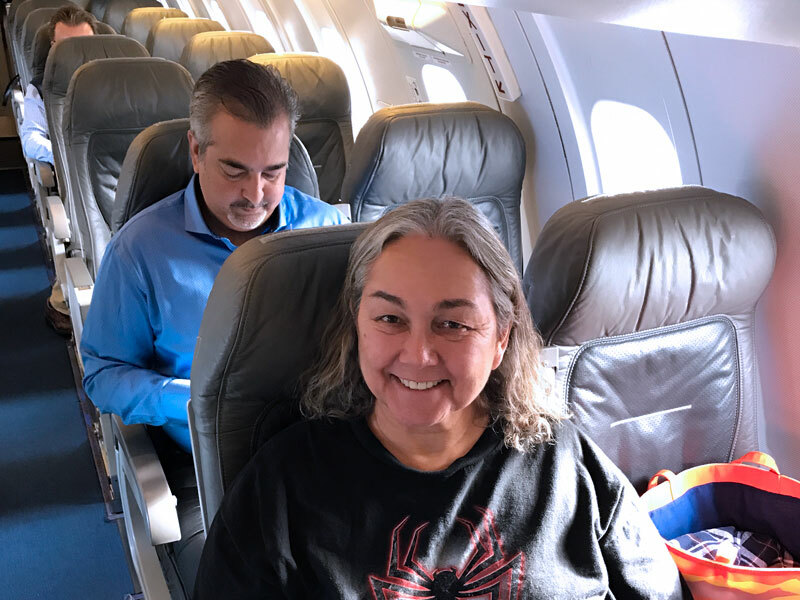 There were only about twenty passengers on my flight, so I had a window and aisle seat all to myself! My view from my room at Treasure Island. 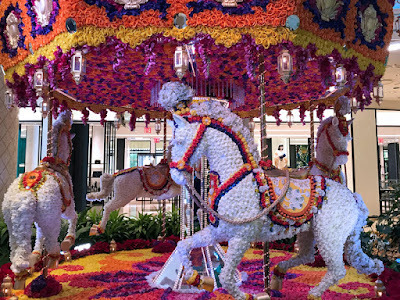 I could not afford to stay at the Ceremony Hosting Hotel, the Wynn. Treasure Island was half the price; within walking distance of the festivities; and still pretty nice. 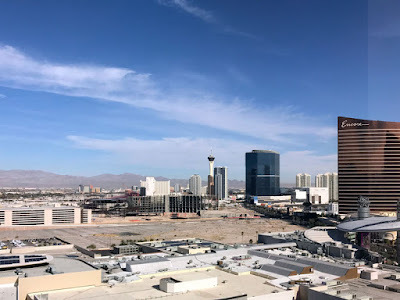 However, I order room service for breakfast and was unpleasantly surprised . . . . 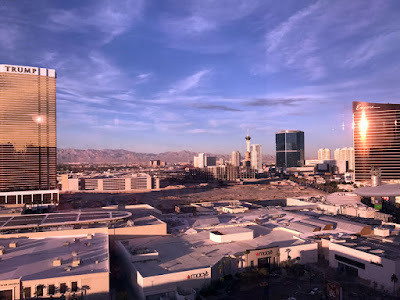 I would not recommend the food. 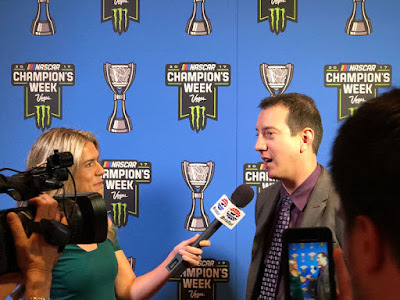 I asked Kyle Busch who was going to win the Snowball Derby. 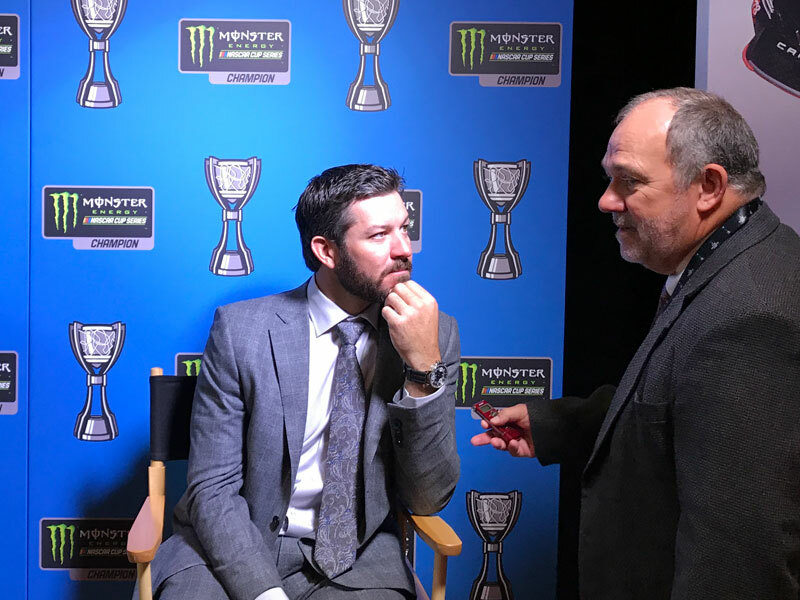 He responded, "Me, I am going there now." and he did just that! 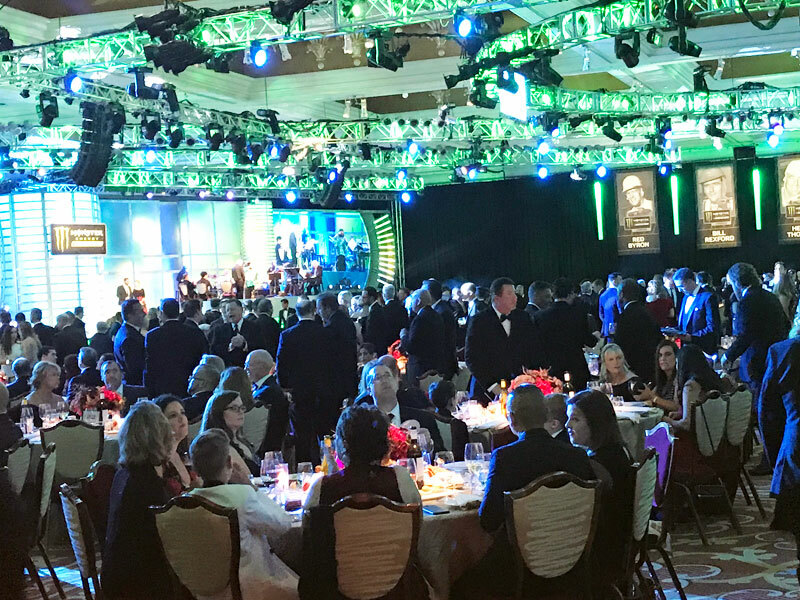 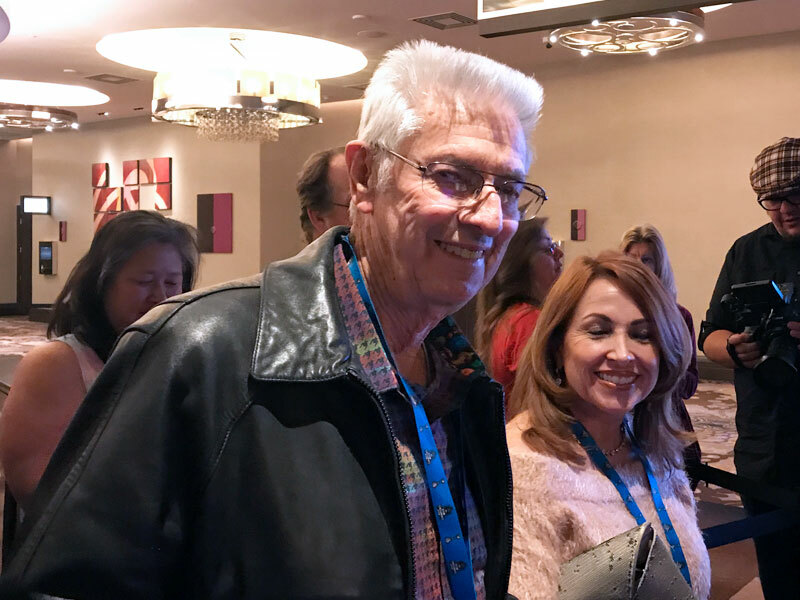 Approximately 500 people attended the traditional Myers Brothers Awards Luncheon at the Wynn Las Vegas resort. The afternoon wrapped up with the prestigious National Motorsports Press Association's (NMPA) Myers Brothers Award, which was given to Betty Jane France for her decades of impactful, charitable work. 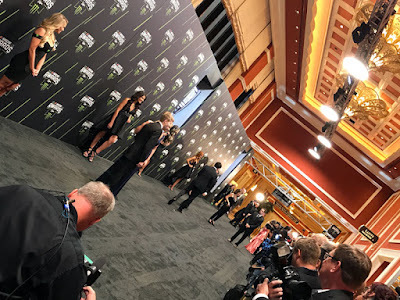 The three photos above were taken after the NASCAR NMPA Myers Brothers Awards at the Encore Theater at Wynn Las Vegas on November, 29, 2017. 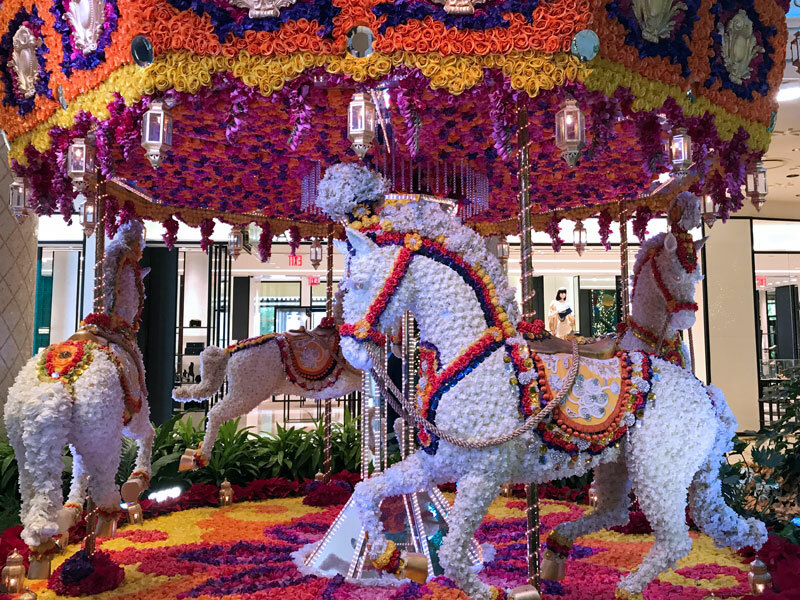 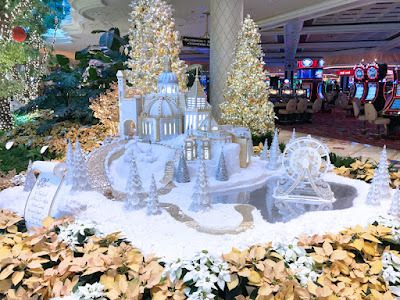 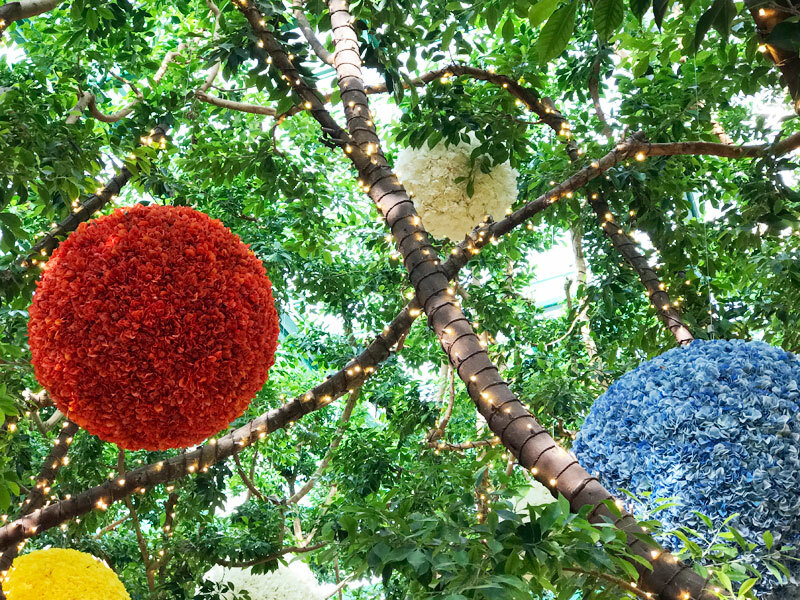 The Christmas Decorations at the Wynn Casino were breathtaking. 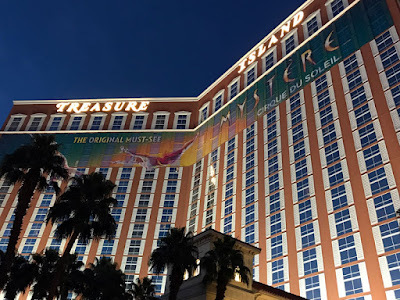 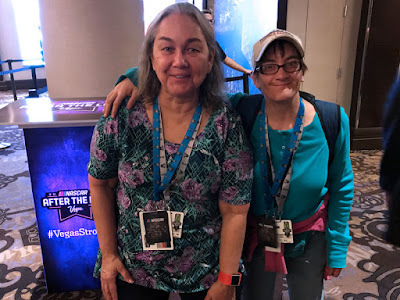 I left my cozy hotel room at Treasure Island for a fun evening. 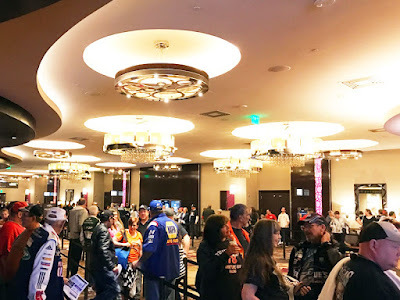 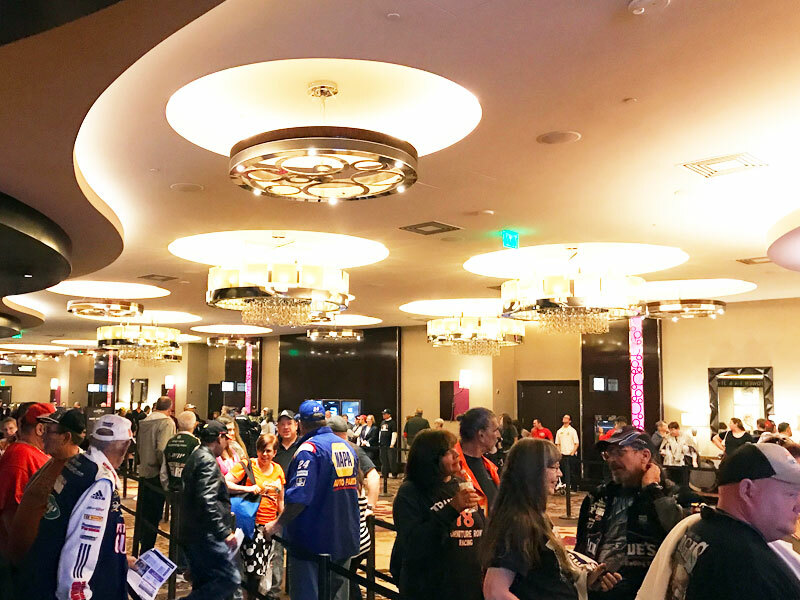 The ‘NASCAR After the Lap | Supporting the Vegas Strong Fund’ event was held at The Chelsea. 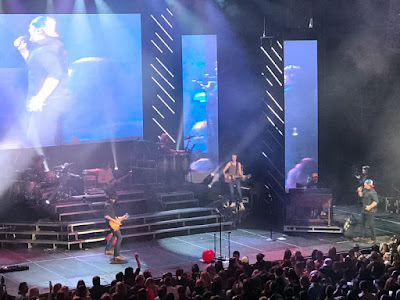 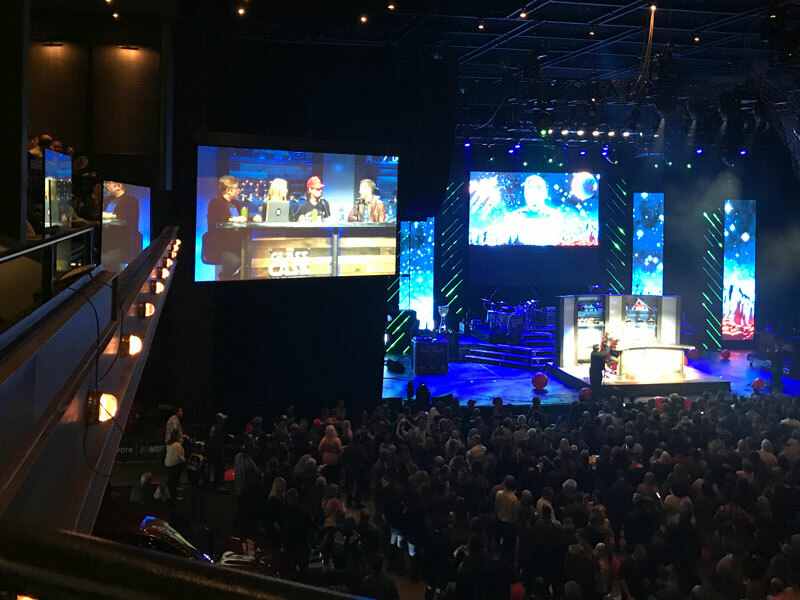 This celebration started with a live on-stage episode of the Glass Case of Emotion podcast featuring Ryan Blaney and other Monster Energy Series Playoffs drivers and concluded with a full concert by country music star Lee Brice! 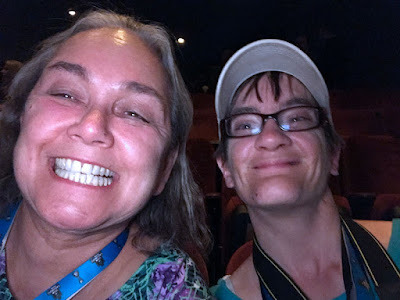 and we enjoyed the evening tremendously. 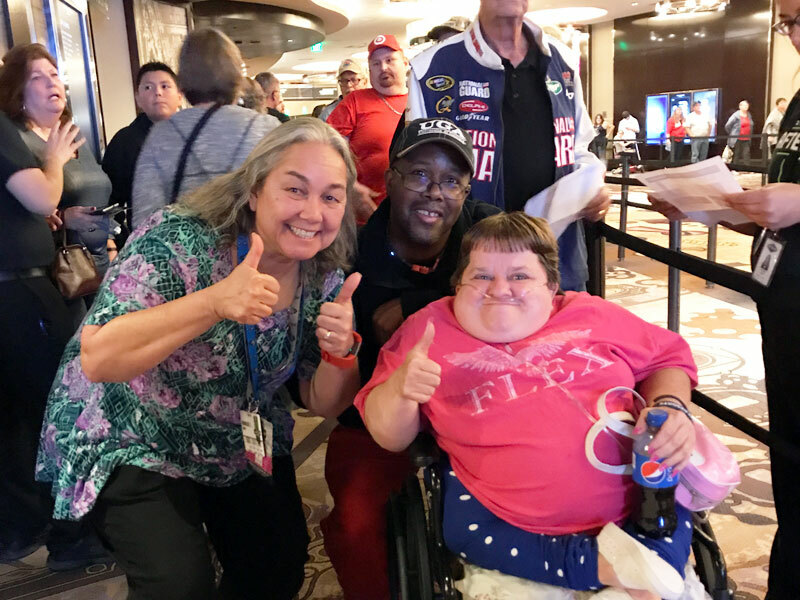 We even got to meet Leonard Woods who was waiting in line as well! 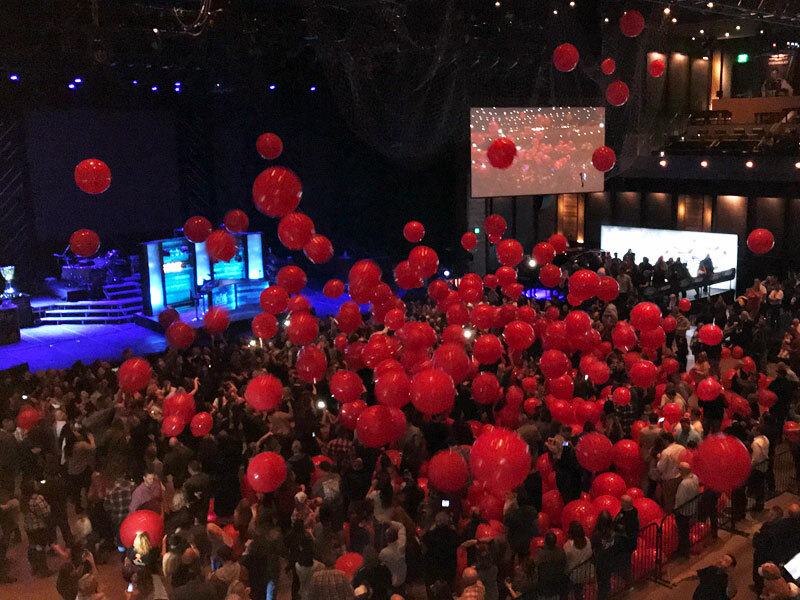 I believe they dropped the red balloons at the beginning of the show in error. NASCAR had provided us with front row VIP Seating for the show. year . . . . I would recommend it. It is important to note that all ticket proceeds from this event benefited #VegasStrong, assisting victims and strengthening the Las Vegas community. 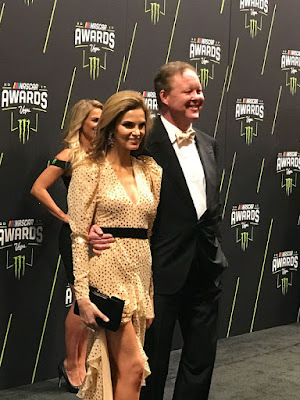 The photos below are from the Main Event; the 2017 Monster Energy NASCAR Cup Series Awards Banquet. Friend Amanda directing the drivers (Christopher Bell) and maintaining order. 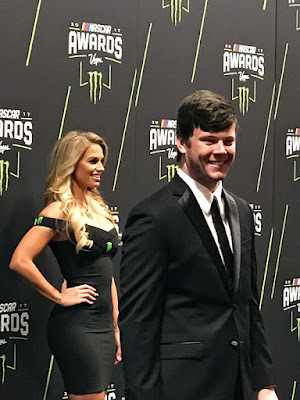 Erik Jones flashing his pearly whites. One of NRM's Favorites Jamie McMurray with wife Christy. 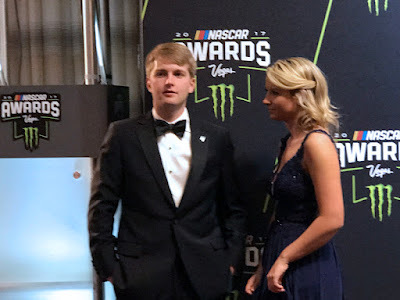 William Byron, 2017 NASCAR Xfinity Series Champ. The Red Carpet was Monster Energy Black this year. 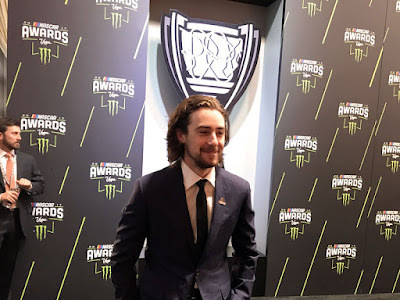 Another NRM Fav - Ryan Blaney. Brian France with wife Amy. 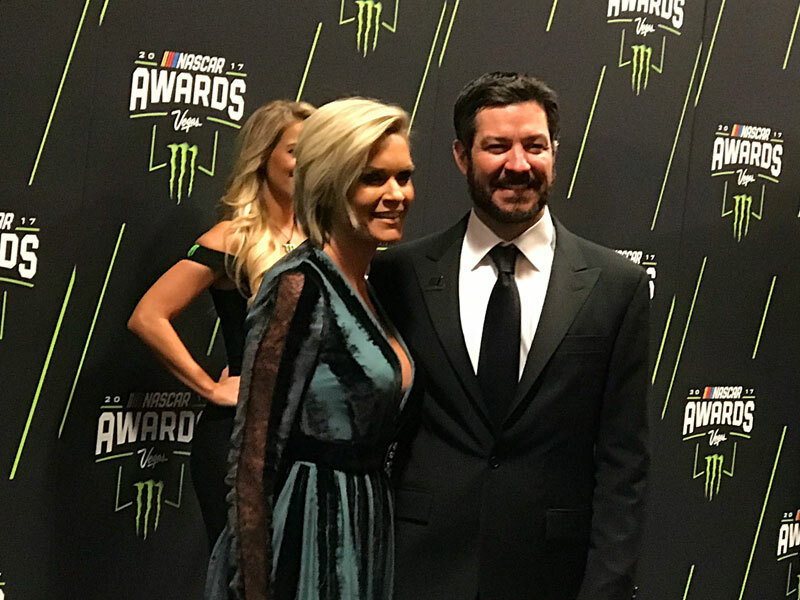 Monster Energy #NASCAR Cup Series Champion Martin Truex Jr.
and his girlfriend Sherry Pollex. 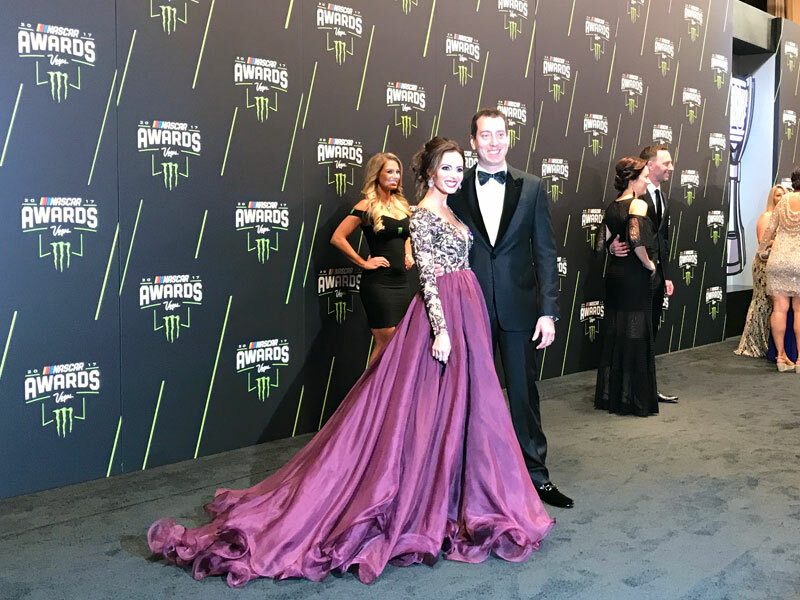 Kyle Busch and his wife Samantha. 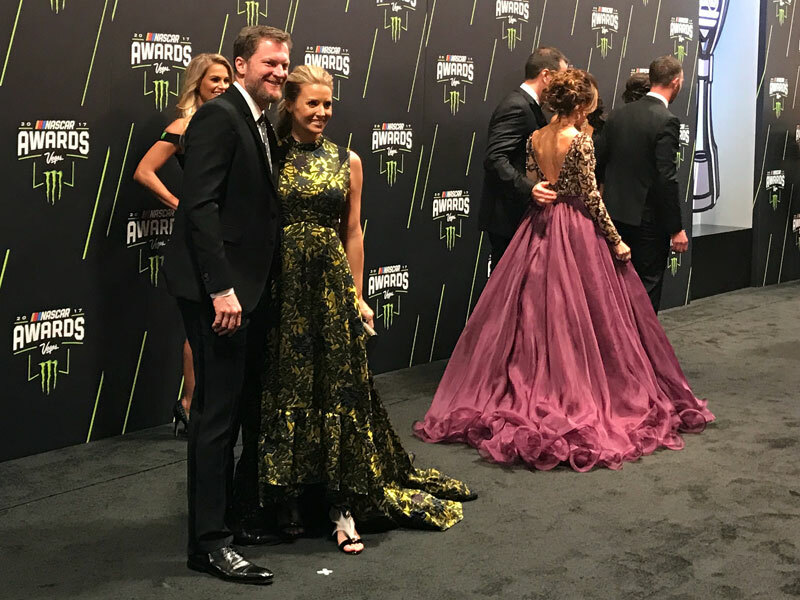 Popular Dale Earnhardt Jr. and his wife Amy. 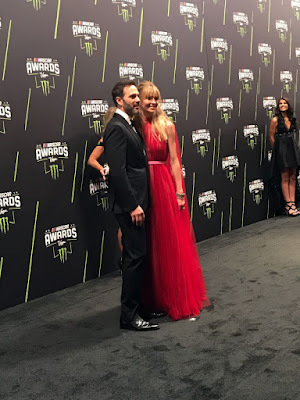 Jimmie Johnson and his wife Chandra. NASCAR Cup Series Red Carpet. Monster Energy NASCAR Cup Series Red Carpet.